I received the titles mentioned below in exchange for this post. All opinions and views expressed reflect those of my own. Sponsor is responsible for prize fulfillment. Welcome to the 2019 Jeepers! It's January! Giveaway Hop. 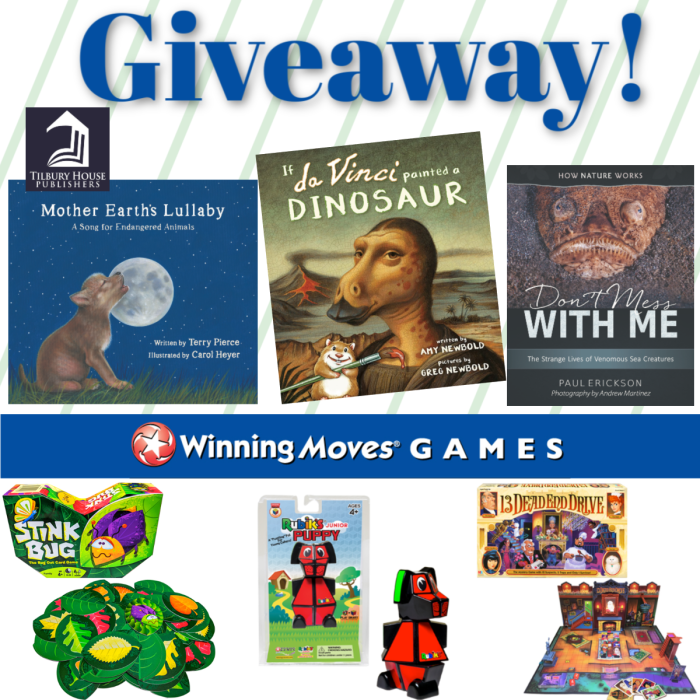 We've stumbled into the new year and now we're celebrating with a fun giveaway event offering lots of great prizes. I'm excited to introduce you to some great children's titles from Tilbury House Publishers. It's time for a fun flashback to your childhood! Winning Moves has brought back the classic 90's Game Pretty Pretty Princess! The new 2019 games list includes your retro favorites and some new ones you've never played. Offering a great variety of games for all ages, Winning Moves has forged a close friendship with some of the industries top game makers. If you're looking for a fast-paced game full of laughs or if you need a calm puzzler so you can enjoy the quiet of the falling snow, you'll find a game for every mood at Winning Moves. In this sequel to the tour de force children's art-history picture book If Picasso Painted a Snowman, Amy Newbold conveys nineteen artists' styles in a few deft words, while Greg Newbold's chameleon-like artistry shows us Edgar Degas' dinosaur ballerinas, Cassius Coolidge's dinosaurs playing Go Fish, Hokusai's dinosaurs surfing a giant wave, and dinosaurs smelling flowers in Mary Cassatt's garden; grazing in Grandma Moses' green valley; peeking around Diego Rivera's lilies; tiptoeing through Baishi's inky bamboo; and cavorting, stampeding, or hiding in canvases by Henri Matisse, Andy Warhol, Frida Kahlo, Franz Marc, Harrison Begay, Alma Thomas, Aaron Douglas, Mark Rothko, Lois Mailou Jones, Marguerite Zorach, and Edvard Munch. And, of course, striking a Mona Lisa pose for Leonardo da Vinci. When Mother Earth bids goodnight, / the world is bathed in silver light. / She says, “Goodnight, my precious ones.” / Nature’s song has just begun. The role of venoms in nature … and in human medicine. Why are toxins so advantageous to their possessors as to evolve over and over again? What is it about watery environments that favor so many venomous creatures? Marine biologist Paul Erickson explores these and other questions with astounding images from Andrew Martinez and other top underwater photographers. One lucky entrant selected by the entry form will receive the Jeepers! 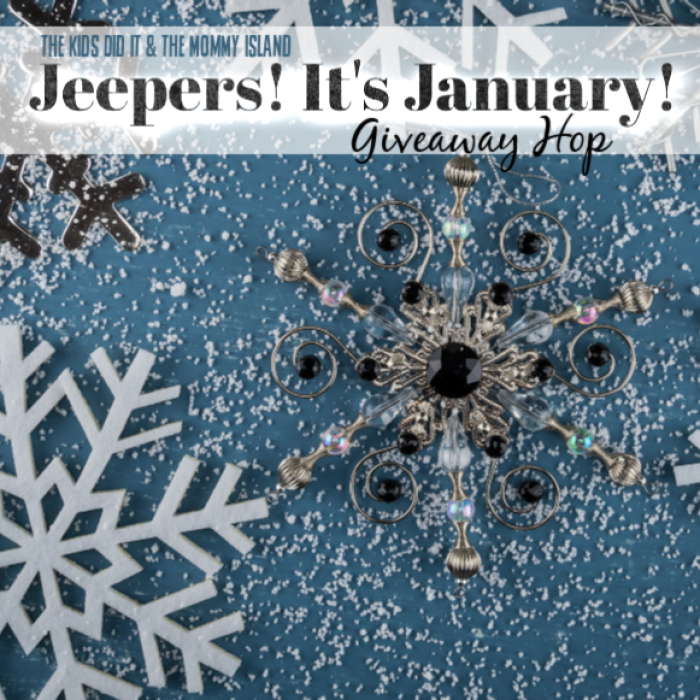 It's January Prize Package! (ARV $105) Open to entrants in the US, 18 years and older. Open for entry from 1/08-1/22/19 at 11:59 pm EST. The winner will have 24 hours to respond to the notification email to claim this prize or a new winner will be selected. The Mommy Island and participating bloggers not responsible for prize fulfillment. Don't mess with me seems like a fun book my son would love to start reading right away!